We left rainy Stuttgart about 10:15am or so and got to Strasbourg at about noon. My new car kept up on the Autobahn pretty well and we had a comfortable ride the whole way with only a few stops for construction and congestion. 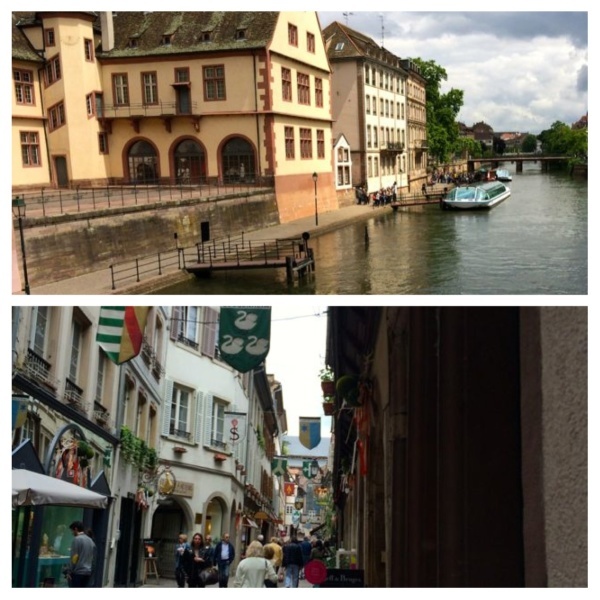 There aren't any checkpoints or stops when you drive into France from Germany (it's that way throughout the European Union mostly), and we drove right to our destination across the river from the Notre-Dame Cathedral in the center of Strasbourg. 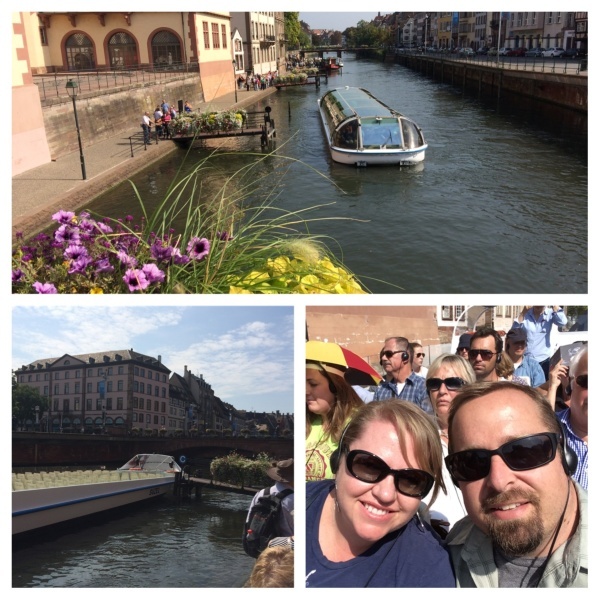 We got the new stroller and the gear ready and paid the parking meter and headed off into town on the cobblestone streets of the Le Grande île - the island surrounded by rivers in the center of Strasbourg. The Cathédrale Notre-Dame de Strasbourg is really hard to miss because it is so tall, but for some reason we lost it right away when we got into the smaller streets right across the river. As we always do, we got turned around and found ourselves on the opposite side of the neighborhood from where we wanted to be. We eventually got turned back around the right way (thanks to our handy GPS) and caught sight of the cathedral and we were back in business. We made our way to the cathedral and went in the main entrance in line with the rest of the tourists (there were quite a few people there today). Once inside, you have to let your eyes adjust for a few minutes, but once you do, it is breathtaking. The amount of stained glass, the height of the ceilings, and the detail in the stonework is nothing short of amazing. And the amount and enormity of it all is hard to take in. We walked around with our necks kinked back checking everything out, and made our way to the astronomical clock inside the church. It is a huge clock (2 stories tall) and it is also very cool. Also near the clock is a memorial to the US soldiers that fought to protect the church during WWII. We left the cathedral and decided to find a good spot for lunch. We found a place, called Au Guttenberg, about a block away, still with a great view of the cathedral, that looked like a nice place to eat outside. We sat down and (what else?) ordered a beer. Then we checked out the menu and decided on lunch. 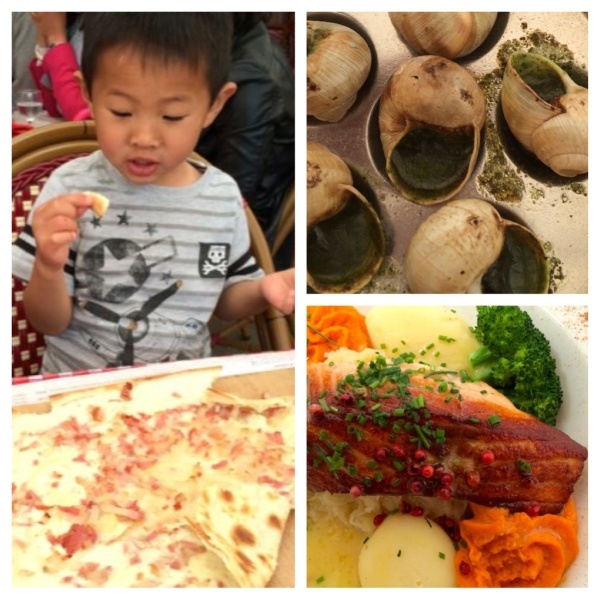 I had the onion soup and pork knuckle, Ronda had the escargot and the baked salmon dish, and cooper had a tarte flambeé traditionnelle (cream cheese, onion, bacon, cooked on a thin pastry). All our food was great! We also had desert and coffee!! Surprise! Once our lunch was over (it took about 2 hours), we walked around the neighborhood for a while just taking photos and checking out all of the sites. There is so much to see and each little shop is so unique. We will definitely be bringing people to visit Strasbourg. The houses and buildings in Petite France have a very unique style. We went back to the car to add more time to the meter and ran into a "march for Jesus" parade, the crowd was really getting into their singing and flag twirling. 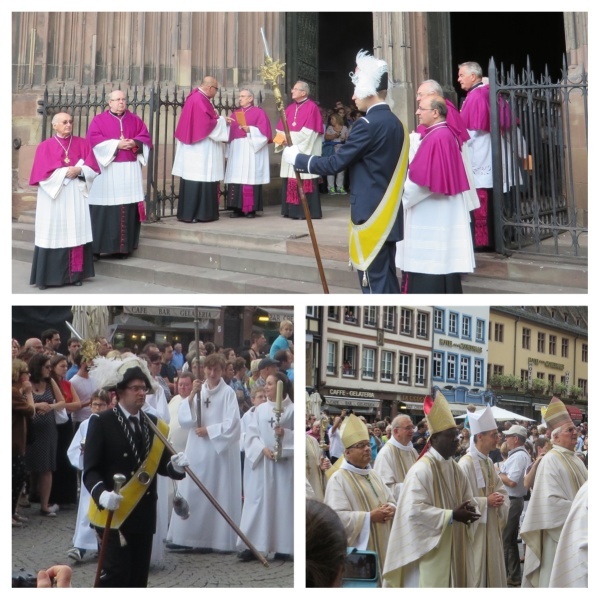 We left Strasbourg at about 5pm and got back into Germany about 20 minutes later. 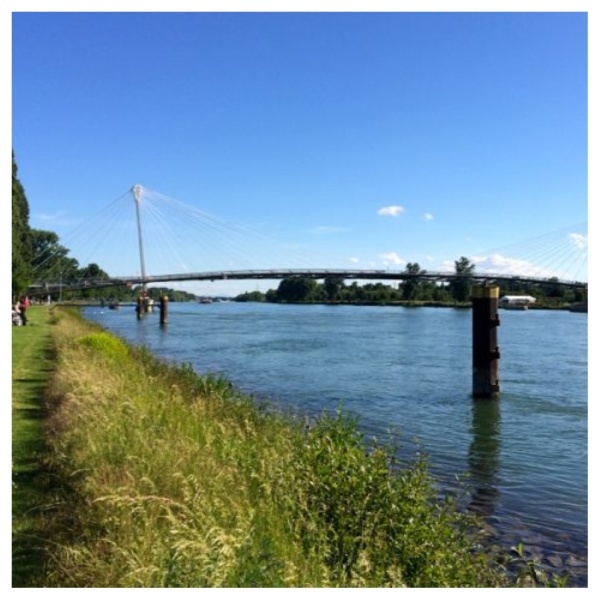 As we crossed the Rhine River (which forms the France-Germany border for several hundred km) we noticed a very nice-looking park and pedestrian foot bridge in the border town of Kehl, Germany. In the photo below, Germany is on the left, France is on the right. We stopped and went for a walk along the river. It is a very big and deep river! The park was cool to check out and there were fountains that Cooper played in to cool down a bit before our trip back to Stuttgart. We hopped back in the car and made it home to Stuttgart by about 7:30pm. All in all a GREAT day of sightseeing and checking out a place we'd been wanting to see! 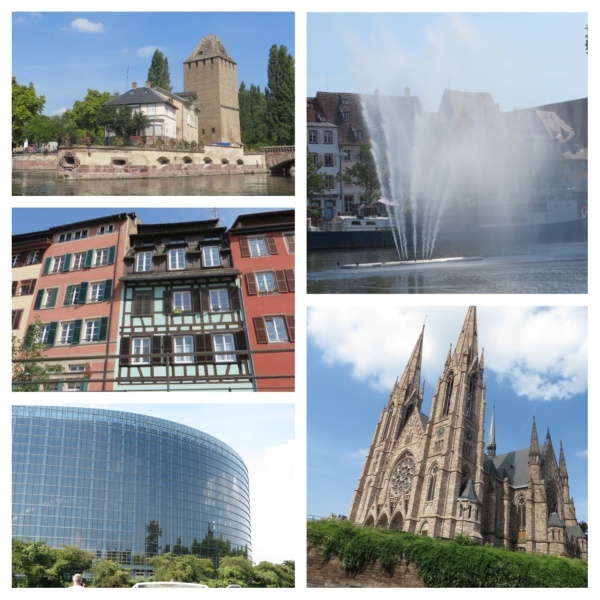 Strasbourg is on the list if you are coming to visit us, we will be happy to take you back! 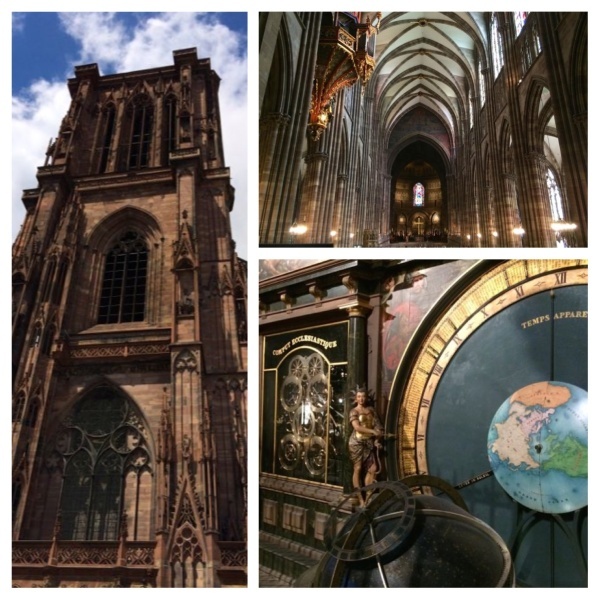 While we had company in town, we decided to go back to Strasbourg to see and explore some more! We made a day trip of it with my Mom and Lane on a Sunday in September. One thing we wanted to check out was the river boat tours. We got into town easy like last time and found our way to the Batorama Boat Pier on “Le Grande Isle." Tickets were 14 euro per person and Cooper was free. We purchased tickets for a tour later in the day and enjoyed a snack at the nearby cafe while we waited for our boat to arrive. The boat tour took about 1.5 hours and was very interesting. There were headsets with an English audio guide. The boat company does pack in the people, so there were a lot of people on the boat. It was a warm day and the sun was very hot, but once the boat got going on the river, a cool breeze blew across the boat. The tour took us up the river and into two locks that brought us up to the city level, and then brought us back down to river-level. 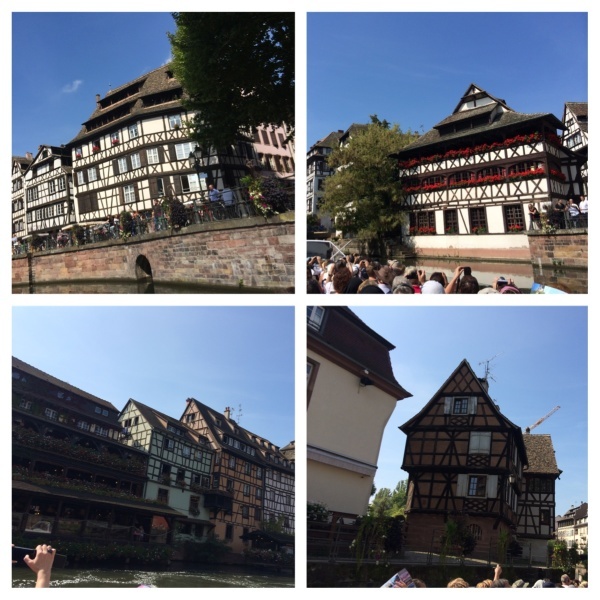 All of the timbered buildings that line the river were beautiful in the sunshine, and we had a great time learning about all of the history on Strasbourg on the river. After our river tour, we went back to the Notre Dame cathedral and stumbled on a pre-planned procession of catholic priests and maybe a couple bishops? We aren’t Catholic, so I’m not sure what their scarves and hats meant, but there were a lot of them, and there were a ton of people watching them enter the cathedral. 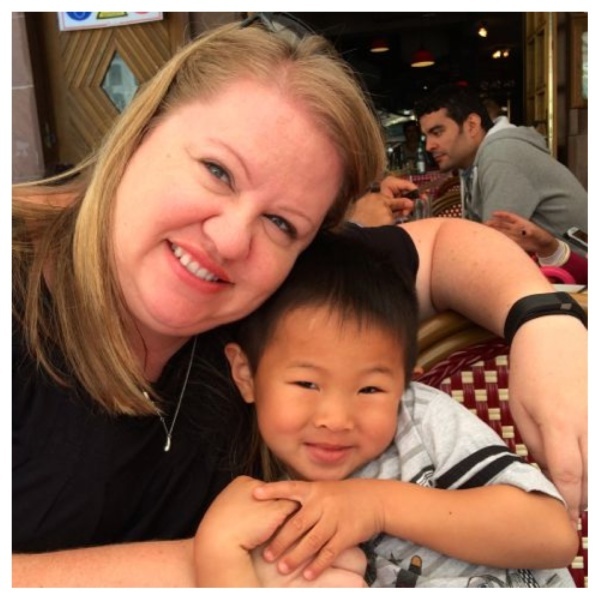 It’s just mother thing we stumbled on in our travels… so cool. After walking around a little more, we decided to call it a day and head home. 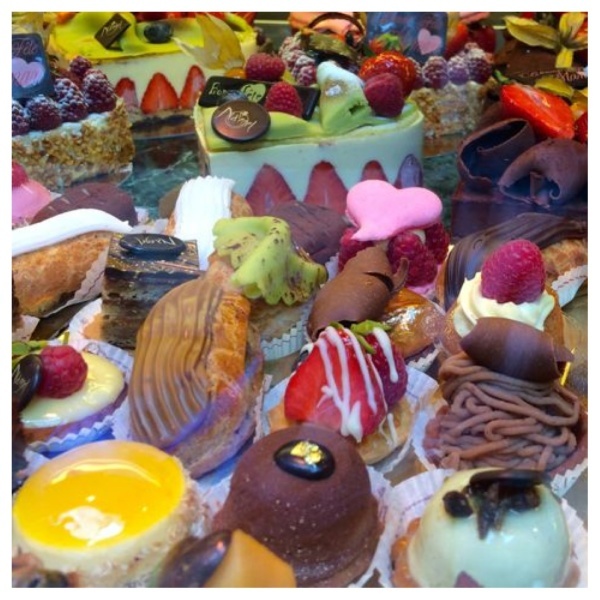 All in all, a successful day trip to Strasbourg. We will be back again!